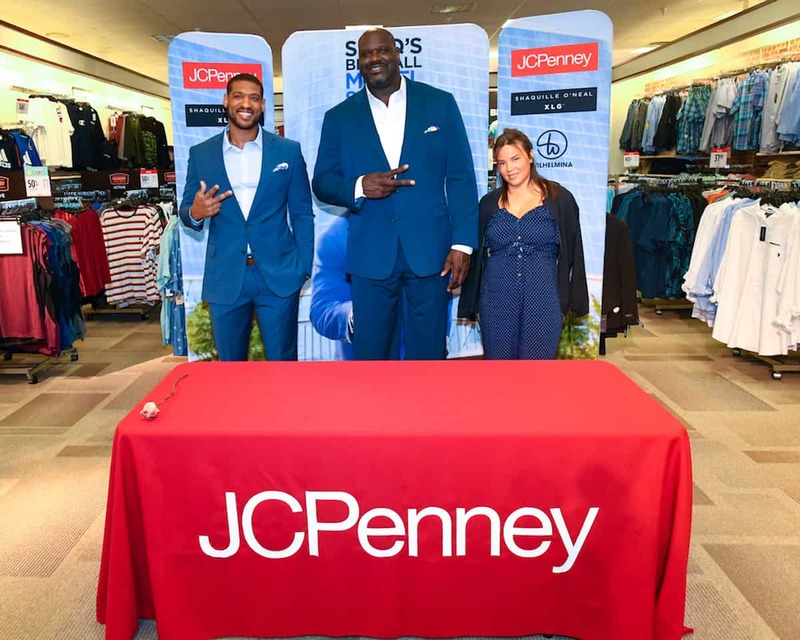 Basketball superstar Shaquille O’Neal headed the first in-store nationwide search for three new undiscovered big & tall models at the JCPenney in the South Point Shopping Center in McDonough, Ga. near Atlanta yesterday. Joined by Wilhelmina Models casting director Olga Tavarez and former NFL defensive lineman David Carter who now works as a model in Wilhelmina’s aptly named Titan division, Shaq kicked off the promotional contest that will sign a trio of generously proportioned guys to model his exclusive-to-JCPenney Shaquille O’Neal XLG tailored clothing line for the fall/winter 2019 campaign. The three winners will also receive exclusive modeling contracts with Wilhelmina. The contest ends on April 28 and Shaq will continue the search with additional store appearances at the JCPenney store in the Glendale Galleria in Los Angeles on April 18 and the Stonebriar Mall in Dallas on April 25. Interested guys who can’t make the live calls can also enter online by submitting their measurements and uploading a photo or video.